Listen to the sounds of Memphis Travel in one of our Memphis taxi! 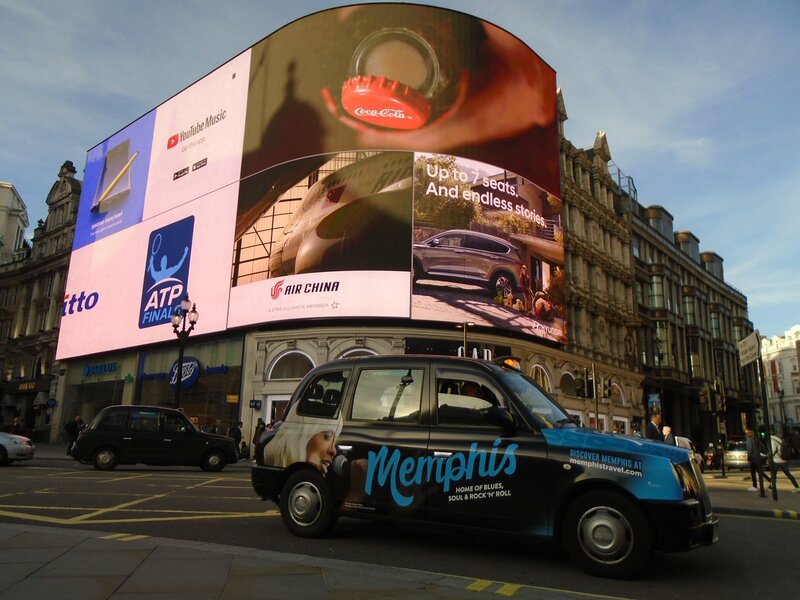 The Memphis Tourist Board has teamed up with Sherbet Media to once again deliver a highly impact full and engaging taxi advertising campaign. This time passangers have a chance to rock out the legends playlists or discover the new sounds by scanning the Spotify barcodes placed on the tip up seats while sitting inside the cab. Passengers who share a photo on Instagram with a #memphiscab and tag @MemphisTravel may be featured on the official Memphis social media account!